This is a rectangular No Smoking porcelain sign. This particular No Smoking sign is white with red print. 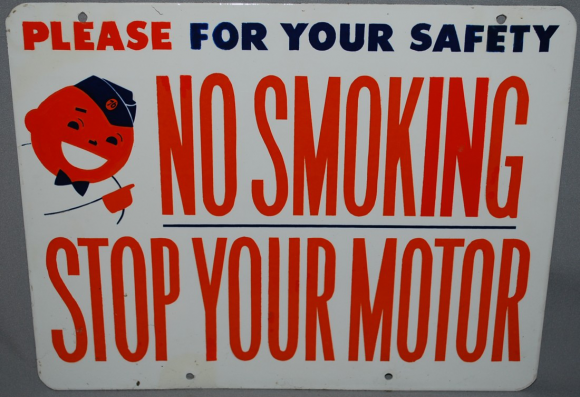 It reads, “Please For Your Safety, No Smoking, Stop Your Motor” and features a red cartoon man wearing a Union 76 uniform in the upper left corner.